ADHD rates are soaring. A pediatrician explains what we should be doing about it. Writing a prescription for drugs to address ADHD is easy, but doesn't get at the complex factors contributing to the problem. 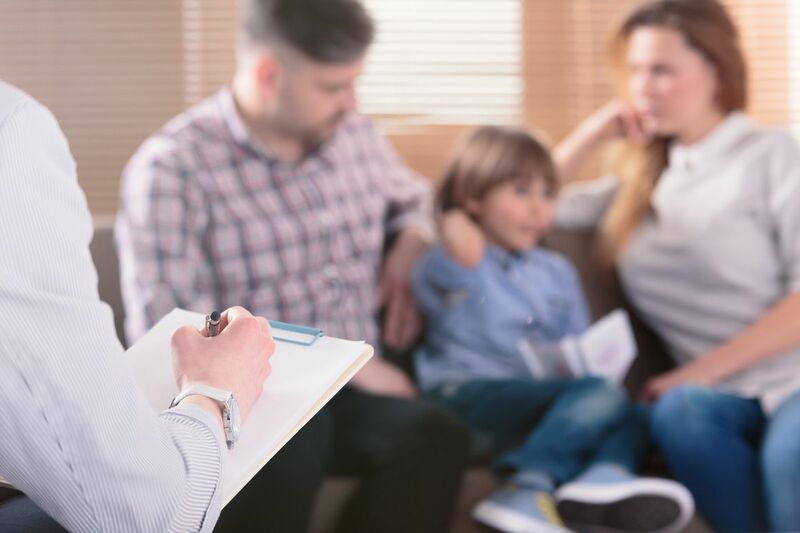 Dozens of parents who bring their children to our clinic struggle with the day-to-day aspects of having a child with attention-deficit/hyperactivity disorder (ADHD). Calls from teachers to report the latest misbehavior. Futile efforts to focus a fidgeting child on homework. Desperate attempts to protect a child who always seems to act before thinking from chasing a ball into oncoming traffic, or getting into a fight that can have a deadly end. I try to advocate for each child, writing letters to schools to help formulate what is known as a 504 plan, needed to give a child with ADHD more access to evaluations and therapy. But many times, I feel like the Little Dutch Boy trying to stop the dam from bursting. 5 questions: Does your child have nature-deficit disorder? ADHD is a neuropsychiatric disorder characterized by persistent inattention, hyperactivity, and impulsivity. A 20-year study in JAMA Pediatrics of more than 186,000 children showed a disturbing trend of ADHD almost doubling in that time, from 6.1 percent of the population to 10.2 percent, which means that one in every 10 children – and their families -- bear the weight of this diagnosis. The worldwide prevalence of ADHD is estimated to be just more than 5 percent, suggesting that there is something different going on in the U.S. So, what are the causes? Genetics? Increased identification and change in diagnostic criteria? Pharmaceutical pressure? Social? Environmental? Some combination of all or some of these factors? Most children who have difficulties with the world around them are reacting to an environment that does not provide them with what they need, especially in the first 1,000 days of life. This is when critical windows of opportunity close quickly without necessary supports. Children need at least one supportive, nurturing adult who makes sure they don’t get too much screen-time and that they do get enough time playing, especially in nature. They also need to be part of a wider society committed to addressing childhood poverty and its well-known effects on the developing brain. Back in 2005, Richard Louv’s book Last Child in the Woods: Saving Our Children from Nature-Deficit Disorder documented how keeping children indoors in front of screens is linked with obesity, depression, and attention issues. Our brains are set up for an agrarian, nature-oriented existence; take a hyperactive child on a hike in the woods, and see what happens to their symptoms. Another study showed that for each hour of TV preschoolers watched a day, the chance of having ADHD symptoms at age 7 increased by 10 percent. And when parents themselves are glued to their screens, they limit their opportunities for vital bonding that helps with a child’s self-regulation and control, two prevalent symptoms in children with ADHD. A 2016 study in the Journal of Pediatrics looked at more than 1,000 5-year-olds and their experience with adversity, such as neglect or a parent who had mental illness or was incarcerated. Children who had more adversity had 3.5 times higher rate of attention problems in kindergarten. So these children are behind even as they are just starting their formal schooling. Children who live in poverty are more likely to be diagnosed with ADHD than their peers above the poverty line. Many of the children that I take care of have multiple risk factors for ADHD. Yet they also have promise. Once a child is diagnosed, there are several resources that can help families navigate and advocate for their child. Understood is a national organization that helps families who have children with learning and attention problems (understood.org/en). CHADD (chadd.org) has been educating and advocating for individuals with ADHD since 1987. In Philadelphia, Community Behavioral Health (cbhphilly.org) and the Parents Involved Network (267-507-3860) can also help with diagnosis and support. Writing a prescription for a stimulant medicine to treat the symptoms of ADHD takes me less than 30 seconds. Writing to local, state and federal officials to push for the necessary investments in children and families takes much longer. But if we do not take action against childhood poverty, work to increase safe green spaces for play, and prioritize strengthening families and communities, we will see a condition that so often should be preventable only continue to rise. Daniel R. Taylor, D.O., is an associate professor at Drexel University College of Medicine and director of community pediatrics and child advocacy at St. Christopher’s Hospital for Children.